Toner is a carbon polymer powder that is used in laser printers and copiers and is fused on paper to form printed text and images. The fine powder actually consists of tiny thermoplastic beads with carbon black or color particles attached to them. Inside a laser printer, these negatively charged toner beads are first attracted by the positive charge of the printer drum, and then by the paper's stronger positive charge. 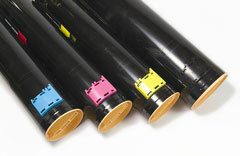 The toner beads melt and fuse to the paper when heated by the fuser rollers, bonding the toner to the paper surface. Color laser printers use four toner colors — black, cyan, magenta, and yellow — to create full-color images. There are several different grades of printer toner; as a rule, higher resolution printing requires smaller toner bead sizes. Printer toner, which comes in both black and color, is normally sold in disposable cartridges designed for your printer make and model. You can buy these disposable cartridges at office supply stores, online, or sometimes directly from your printer manufacturer. Another option is to use generic printer toner cartridges. These cartridges are made by companies other than the company that manufactured your printer but are designed to be compatible, nonetheless. These compatible printer toner cartridges are often significantly less expensive than brand-name toner cartridges. However, many printer users still prefer to use the printer supplies offered by their computer printer or copier supplier. If you need specialized color toner for your color laser printer, you may need to buy the toner cartridges offered by your printer manufacturer. In recent years, third-party toner suppliers have figured out how to reuse and refill spent printer toner cartridges. Not only does this reduce the potentially enormous amount of waste generated by so many used cartridges, it also provides printer users with an inexpensive source for printer toner. PrinterToner.us features a directory of popular printer toner suppliers and recycling information. See our InkjetInk.us companion site for help in choosing between OEM and compatible toner cartridges and ink cartridges. Offers compatible laser toner, ink cartridges, and printer supplies at discounted prices. Find toner, ink, and fax cartridges all in one convenient location. Office Depot offers HP, Office Depot, and other brands of printer toner at competitive prices. Find ink and toner cartridges, paper, printing materials, and more. 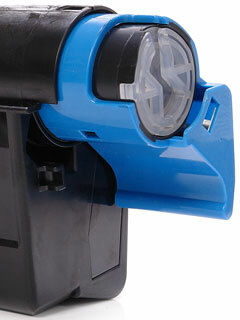 Some toner cartridge manufacturers encourage their customers to return used cartridges for recycling. When the toner in your cartridge runs out and you purchase a new cartridge, these manufacturers let you use the box from the new cartridge to ship the empty cartridge back to them. For convenience, they usually enclose step-by-step shipping instructions and a mailing label in the box with each new cartridge. Certain manufacturers will even pay the cost for returning your used cartridges! Upon their return, toner cartridge manufacturers disassemble the old cartridges, recondition certain parts for reuse, and recycle much of the remaining material. Recycling toner cartridges is a cost-effective way to conserve valuable materials and keep them out of landfills.